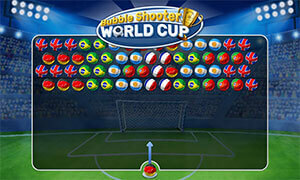 Bubble Shooter World Cup hooks you for hours combining the well known addictive bubble shooter gameplay with a real World Cup feeling! Match proper countryballs like the polandball or germanyball with two of the same kind to cause a chain reaction! The more footballs you manage to score with one shot, the more points you gain. If you fail to score a combo, you will get a foul and the more fouls you get, the more footballs will drop down until you loose. Enjoy an awesome football bubble shooter crossover and shoot yourself to the next level. Color Element is the fun arcade game in which you have to pass through moving rings and obstacles of different colors. It is that type of addictive arcade game that you won't give up on.